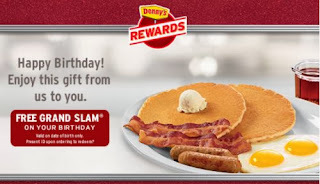 Get a free Grand Slam on your birthday! Join the Denny's Reward Club to get exclusive deals, Denny's offers & news. Click the link below to sign up now.